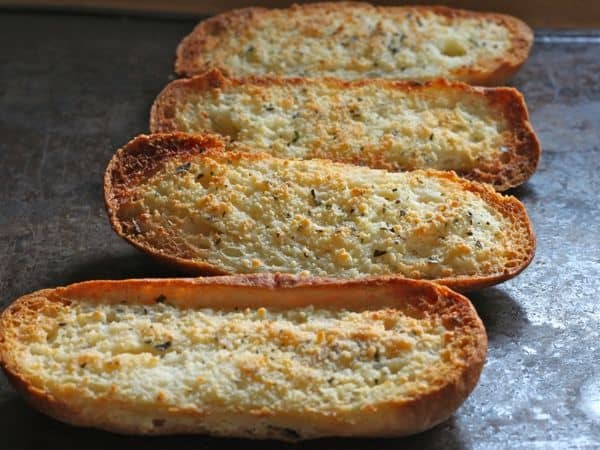 Remember the warm, cheesy garlic bread that Italian restaurants serve before a meal? 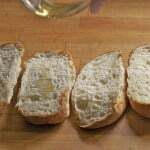 This recipe makes that style garlic bread. It isn’t fancy bread. And it doesn’t use fresh garlic. Did I lose you there? I hope not! Because here’s a secret: most inexpensive Italian restaurants–at least the “mom and pop” ones around here—don’t use fresh garlic either but even without fresh garlic, this bread is AMAZING. 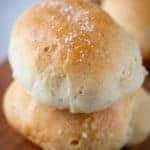 Thaw as many Udi’s hot dog buns as you think you’ll need. 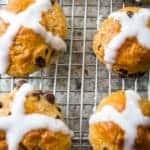 (This recipe doesn’t really have a “recipe.”) Drizzle the face of each bun lightly with olive oil. 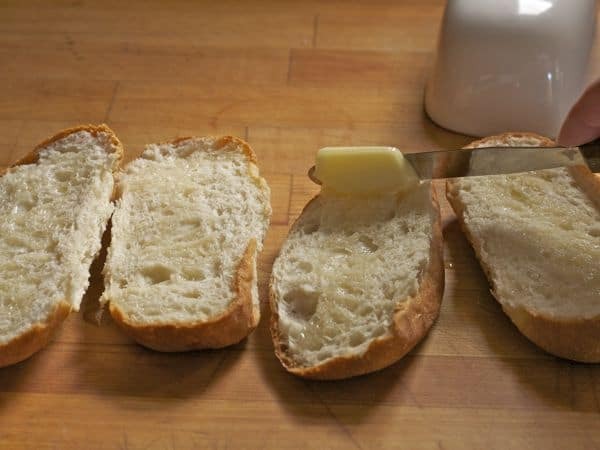 Spread on a generous amount of softened butter. 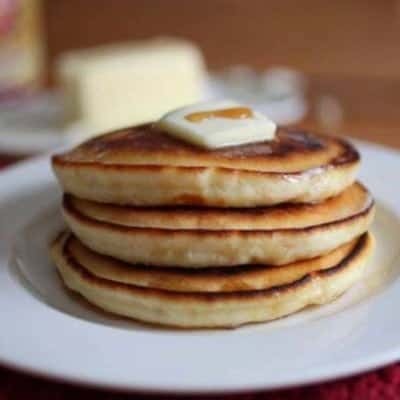 Yes, both oil and butter. Trust me. Truuuuuuust me. Sprinkle on some garlic powder. Just be sure it’s garlic powder and not garlic salt. 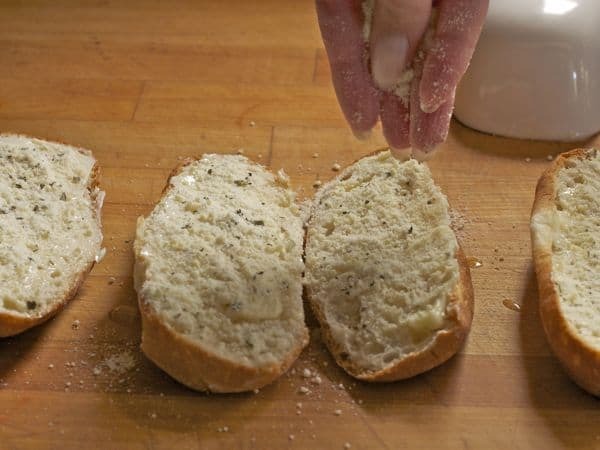 To make this easy, you can use the handle of a spoon to control the amount of garlic on each bun. And, really, you just want a sprinkle. 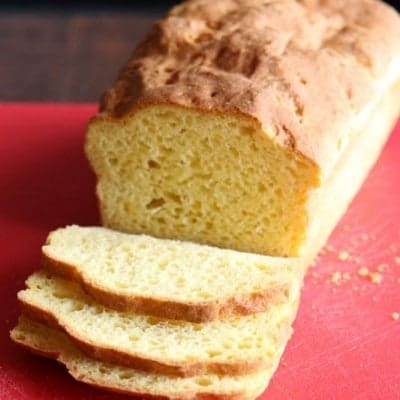 Top with a generous amount of–wait for it–canned Parmesan cheese (Like the garlic powder, canned cheese is important if you want the bread to taste like “restaurant bread.”) Sprinkle on a little dried basil and you’re done! Bake in a preheated 425°F. oven until golden brown. 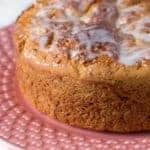 If you want, cut into slices and enjoy! You can serve garlic bread with just about anything. 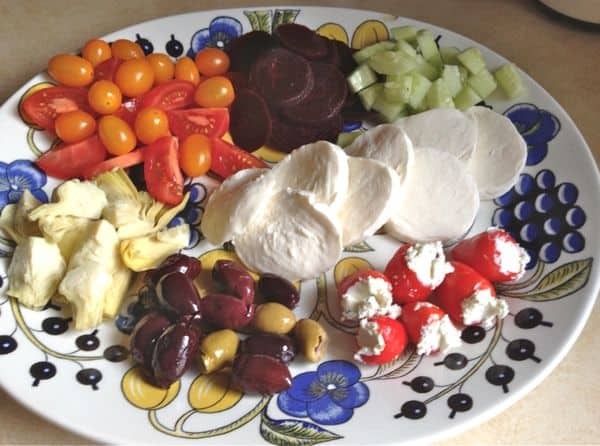 This time of the year, I serve it with antipasto. But it’s good with anything. 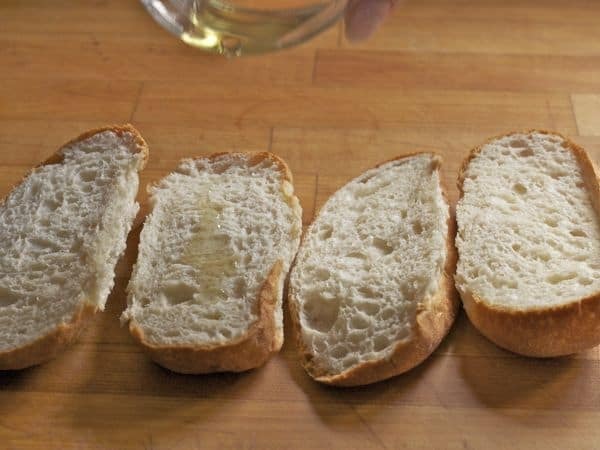 This super easy garlic bread comes together in just a few minutes. Serve it alongside a salad or soup. Drizzle a little (about one teaspoon) olive oil on each hot dog bun. 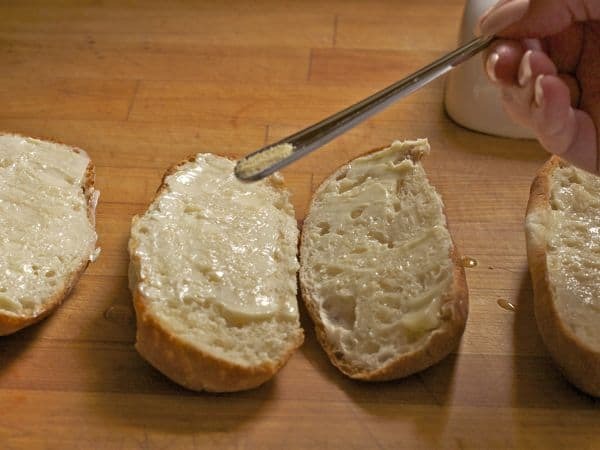 Spread with a generous amount of butter, about 2 teaspoons. Sprinkle on a tiny bit of garlic powder and dried basil. 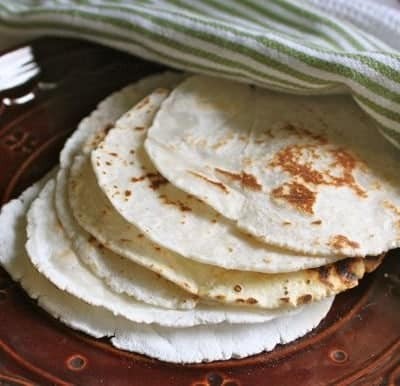 We tried these and loved them – they are so easy and fast to make as well. The full package. Thanks so much! Thanks, this sounds great! I’ve been toasting Udi’s sandwich bread for faux GF garlic bread. This looks much better.